Chison SonoTouch 30 is a popular tablet-style portable ultrasound machine designed for bedside/point-of-care and other situations that demand excellent mobility, ease-of-use, and versatility. The SonoTouch 30 runs a full range of applications and has measurement and analysis packages for a wide variety of applications, as well as presets for those applications. 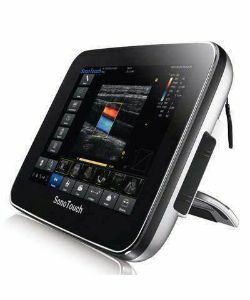 The new SonoTouch 30 is a unique ultrasound tablet because it has PW and Color Doppler, and it can operate completely by touch, or by the attached stylus. This makes it quite different than many other affordable tablet-style ultrasound machines.